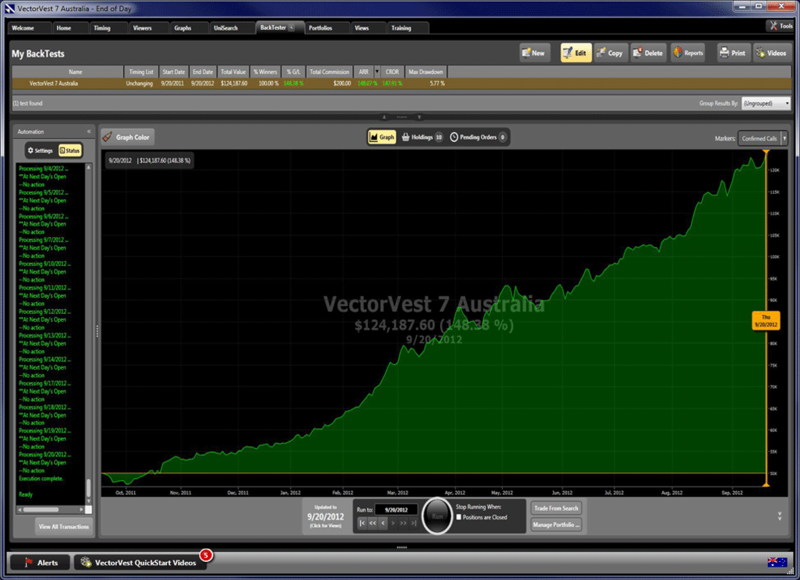 VectorVest 7 analyzes, sorts, ranks and graphs over 2,000 ASX shares using 44 parameters. 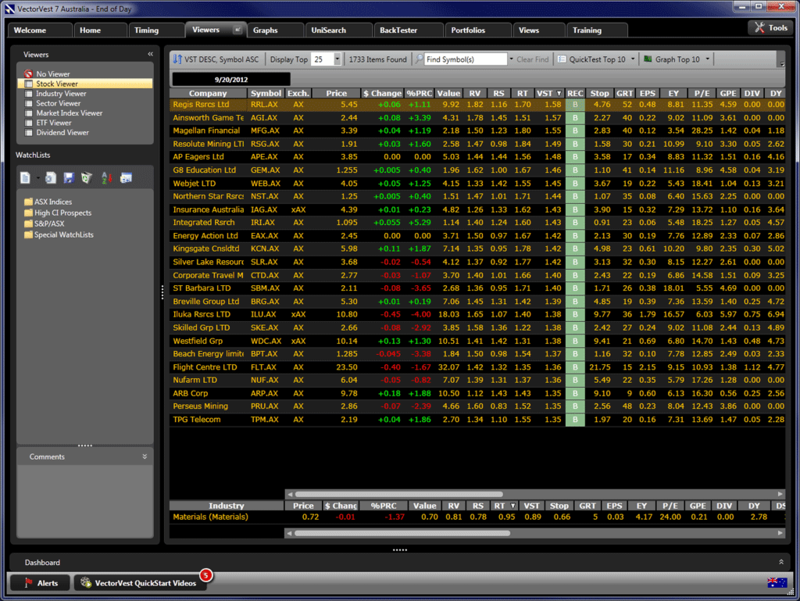 It provides Buy, Sell and Hold recommendations on every share, every day. 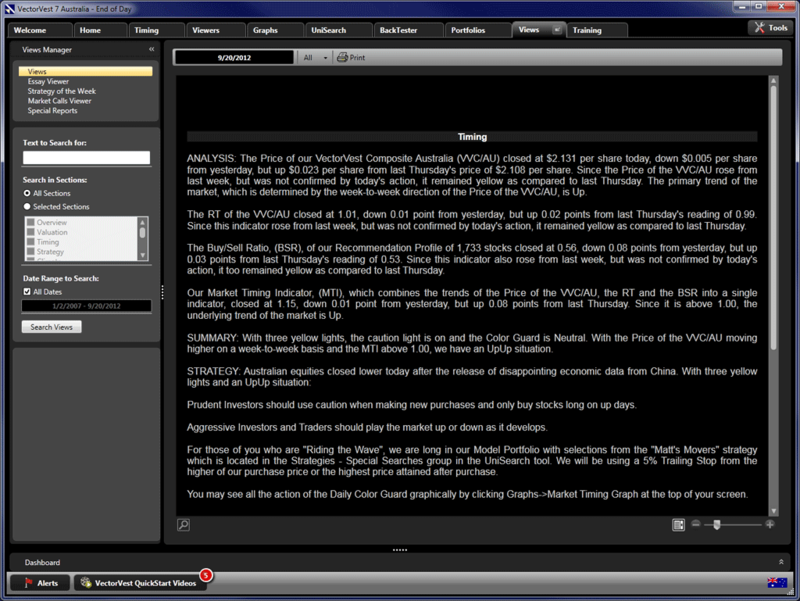 Most importantly it gives you market timing updates for precise trading entry and exit points. 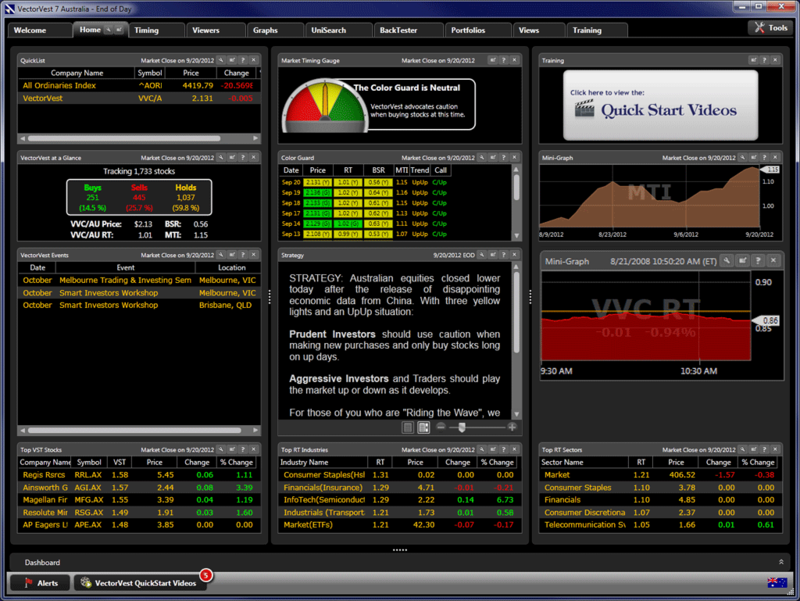 The VectorVest Viewers provide an analysis and ranking of over 2,000 Shares, 44 Industry Groups and 44 Business Sectors. 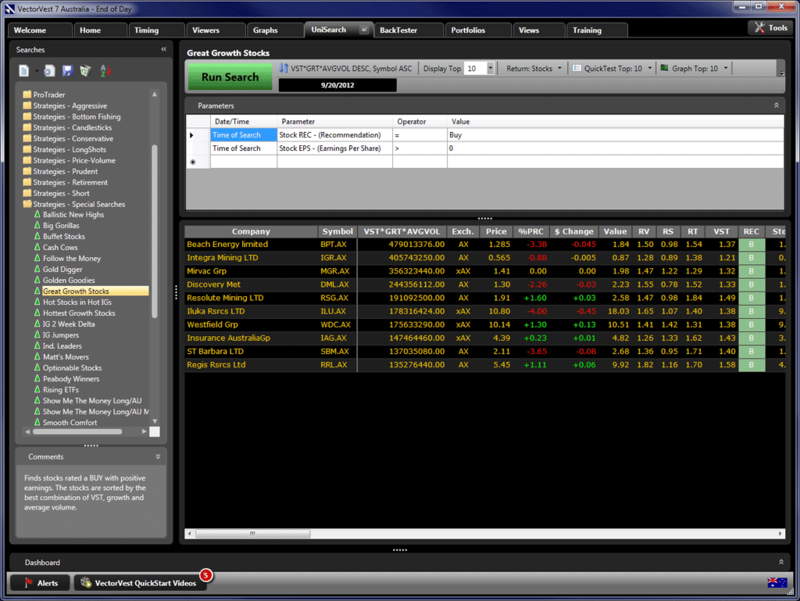 With a few clicks of your mouse, you can analyze, sort and rank shares, industry groups, and business sectors on Value, Safety and Timing and many other critical parameters. 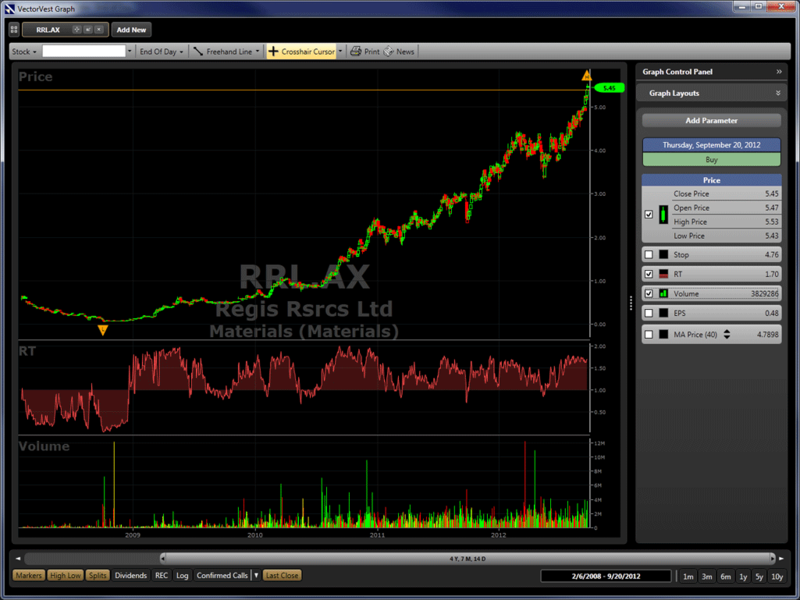 Complete Value, Safety and Timing analysis of more than 1,700 Australian shares. Performance ranking of more than 100 Sectors, Industries, Indices and ETFs.